Orientations vary from Saturdays, Sundays, and very occasional weekday evenings, but we hold them every 4-6 weeks. Come when you are ready! Cohousing, housing cooperatives, cohouseholding, communes and ecovillages - Intentional communities, transition towns, nonprofit affordable housing, senior "villages" -- What's the difference and why does it matter? What's living one of these communities really like? Should I join an existing community or start my own? Where do I find openings? How do cooperative communities really work? Who's in charge? You'll get answers and links to a world of resources at our EBCOHO orientation. Very informative and well-presented. Nice group of people, too (of course!). Doors open at 9:45 for a little social time and set up; Program runs from 10:00 to 11:30, including a little more time for networking, wrapping up by 12. Light refreshments available, but lunch is not included. Member introductions, goals and connections. How to use EBCOHO and other online resources. Community-building game or exercise, and time for open sharing on your experience and interests. 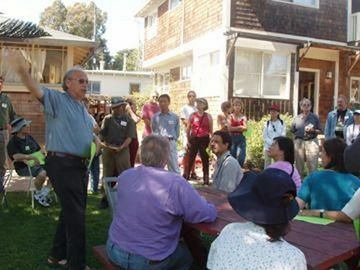 Raines Cohen, Cohousing Coach and community organizer, will present and facilitate. The orientation fee of $20 per household helps cover ongoing EBCOHO expenses. Bring a friend and save up to $5 each; supporting members (and members of supporting groups) pay just $10. Your contribution is refunded if you become a supporting member on the spot. (Supporting members get our thanks, a free Cohousing book or Communities Magazine subscription, plus discounts on many of our events). If you RSVP for multiple people, MeetUp will tell you the price is per person, but relax... it's really just per household. Bring your visiting relatives or housemates. You can pay at the door by cash, check, or credit card. Get your better half or thirds(!) to join you. If you can't come out with us on a Sunday morning -- fear not! Keep eye on the EBCOHO calendar for what's coming up, weekend and weeknight orientations, (un)common meals, socials, movies, and other ways to connect. We hope to see you soon. 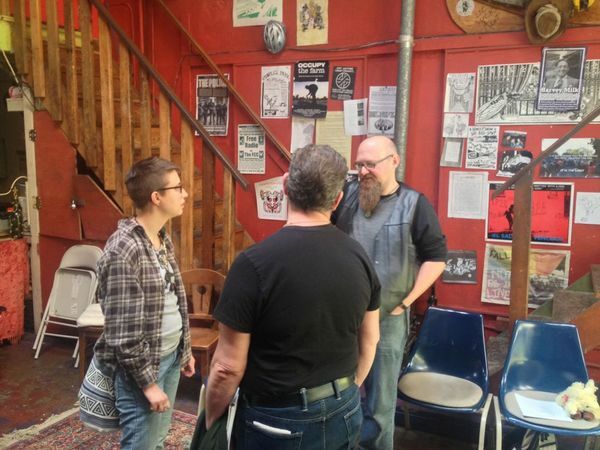 Get not just this meeting but a featured profile, discounts on future events for the next year, early notice of openings, a cohousing book and more.